Teachers Win Big with TiViTz! 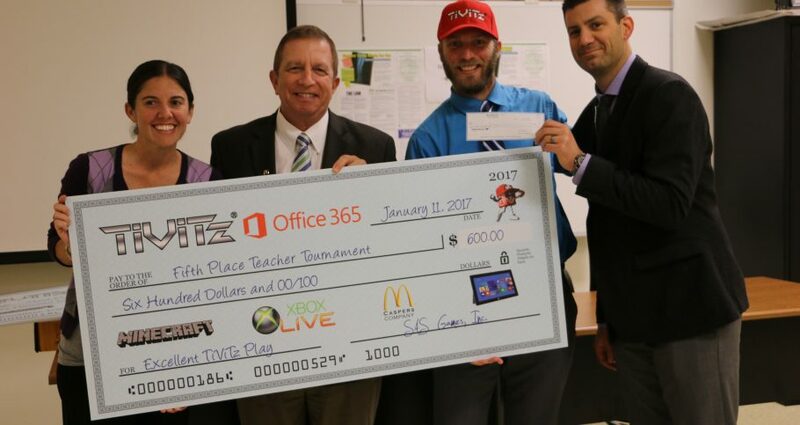 At TiViTz Teacher Tournaments, teachers attend and play TiViTz in teams of two to compete for prize money! Teachers competing and staying from start to finish will be included in a prize drawing. One lucky teacher will go home with a Microsoft Surface Pro 4 Tablet! Encourage your colleagues to attend, we will have a prize for the three schools with the highest participation (minimum 4 teachers from the school). During the tournament, teachers will get hands-on playing experience, and learn more about the new TiViTz O365 Education platform with weekly prizes for teachers, students, and schools. Get your game face on and join us for a chance to win prize money and make paying off those Christmas shopping bills a little bit easier!